A hunting we will go." My dear, it rains, it hails, it snows, You will not hunt to-day ? 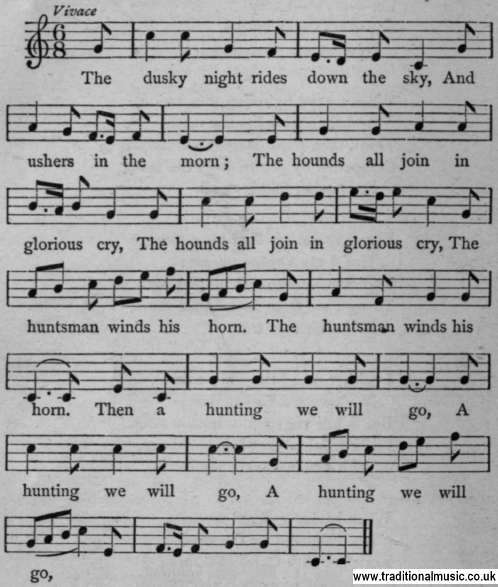 But a hunting we will go, &c.